English mathematician Alan Turing is found dead in his bed with a cyanide-laced apple on his night stand. Turing had published a seminal paper, On Computable Numbers, in 1936 in which he theorized about the nature of human and machine intelligence. During World War II, Turing applied his mathematical genius to codebreaking efforts, including solving the riddle of the German ENIGMA encryption machine. 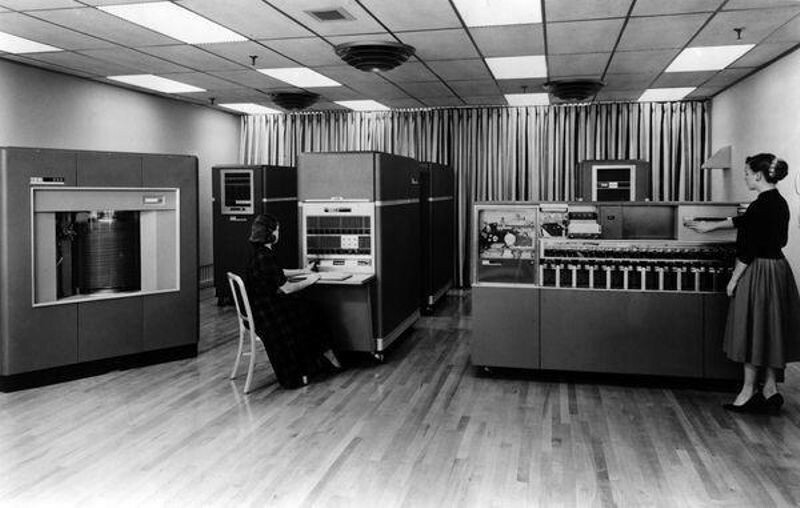 IBM establishes the 650 as its first mass-produced computer, with the company selling 450 in just one year. Spinning at 12,500 rpm, the 650´s magnetic data-storage drum allowed much faster access to stored information than other drum-based machines. The Model 650 was also highly popular in universities, where a generation of students first learned programming.